The existence of extra-terrestrial life, as unfathomably obvious as it may seem, has been the subject of countless books, comics and movies until now, all of which have sketched them to be disfigured, twisted and sometimes super human (or super alien, whatever). 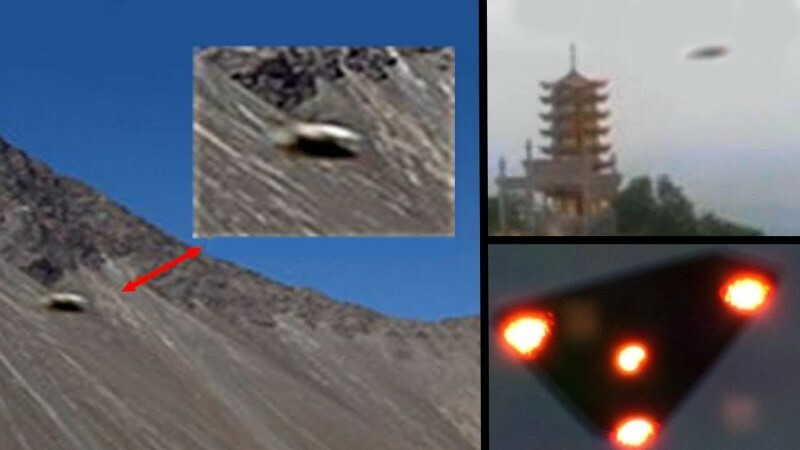 There is however, solid proof of their actuality in close proximity, as tell us the clandestine proceedings in Kongka Paas, an Indo-Chinese (disputed region) low ridge pass in the Himalayas rumoured to be frequented by UFOs. There have been innumerable sightings of undesignated shuttles or saucers hovering about the region, which clearly indicate the possibility of the hugger-mugger anecdotes being true. Poised at a natural elevation of 16,965 feet from sea level, Kongka Paas, is a high mountain pass near the actual ‘Line of Control’. China considers this region to be the line of control, whereas India marks the line further east, at the Lanak Paas. The issue about this area is beyond a ‘mere’ border dispute between two big nations. The stigma surrounding alien life, and their sightings on Earth all come together. The locals of this region which is nestled in the Himalayas, think it is a well-known fact that Kongka Paas houses an underground UFO base, and that it is nothing new. Rife with suspicion and curiosity, a group of pilgrims once questioned the locals and the security personnel on both sides of the border. Apart from the fact that they were stopped from venturing out into the Paas, they were told by the locals that UFO sightings were common in the region, and that it was known to both countries. The fact that they were denied entry into the area on both sides of the border despite having their visas made it very clear that there indeed was something fishy transpiring inside. Another shocking fact that was brought up to them, was that as a part of a mutual agreement between both the nations, it was restricted and both did not patrol the area. Back in 2012, the Indian Army saw a 160 km-long, object shaped like a strip of fabric hovering over Pangong Lake, which is in the vicinity of the ‘Line of Control’ between China and India. The peripatetic army-men brought their spectrum analyser near the object and also their portable ground-based radar at some distance from their base camp. Although the thing was perceived by the naked eye, the radar would fail to detect it, which made the army come to the obvious conclusion that it was non-metallic. The startling fact though, was that it was fairly sized and gave the feel of an awkwardly shaped shuttle. Additionally, their spectrum analyser could not detect any signals. The army also tried to fly a reconnaissance or exploration drone which when plunging into the floating object but lost picture of the mystifying object when it reached its limit in loftiness. Recently, a group of Hindu pilgrims reported sightings of triangular flying objects in the sky near the Aksai Chin Lake region on their way to Mount Kailash. They also said that it gleamed with phosphorescence in an unusual manner. Appallingly, the local guide told them that it was a common sight of these triangular objects appearing and vanishing almost vertically into the sky. As a matter of fact, the depth of the Earth’s crust in this region is twice the usual depth of the crust in other regions, which makes speculations of the underground UFO bases somewhat justified. There could be underground bases deep into the tectonic plates. It’s funny,that the aliens chose the border of the two most populous nations in the world. Ironically, the region of Kongka La Paas is one of the least accessible areas in the world. For all we know, there is no smoke without fire. The truth remains, even if it is refashioned and transfigured into a lie, to save the present. Only the time shall reveal what was hidden.